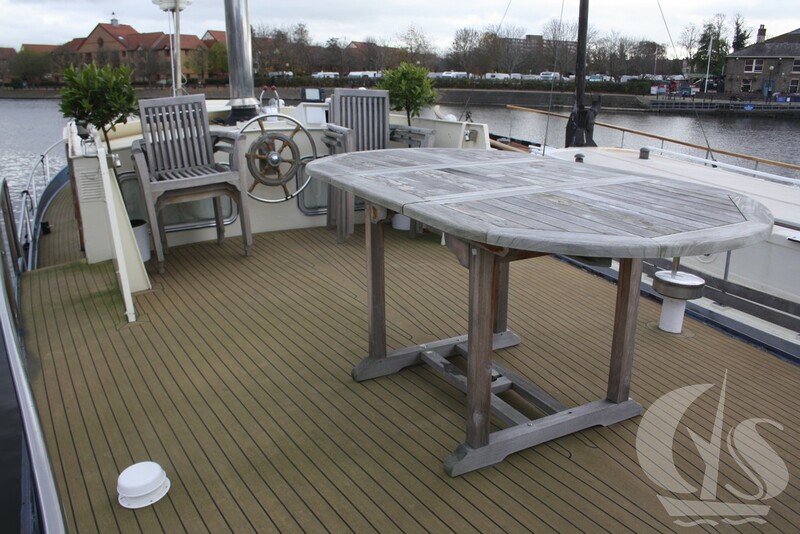 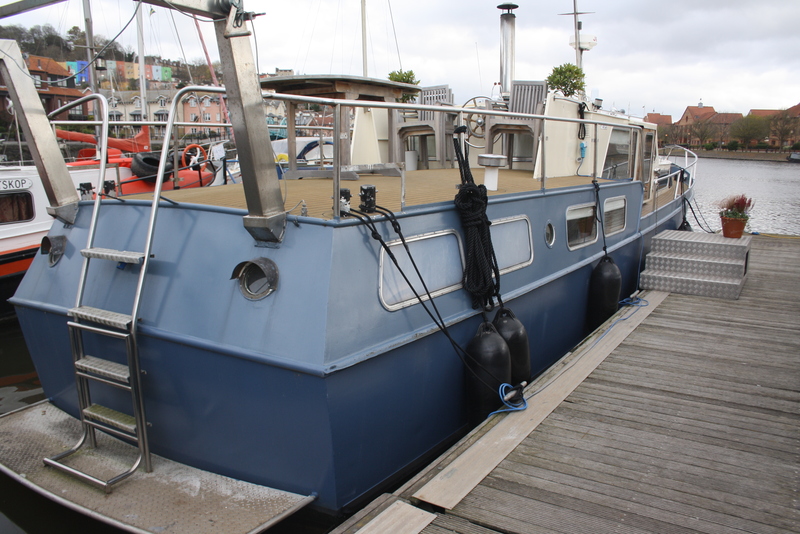 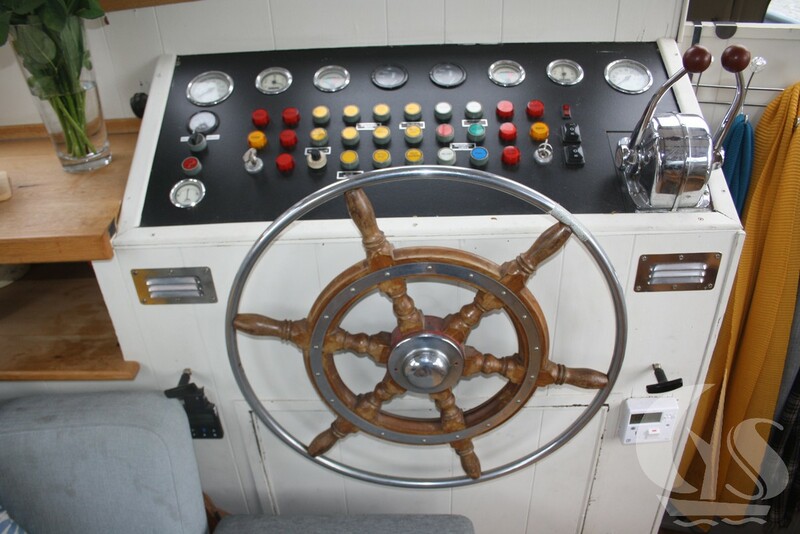 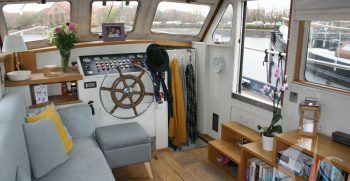 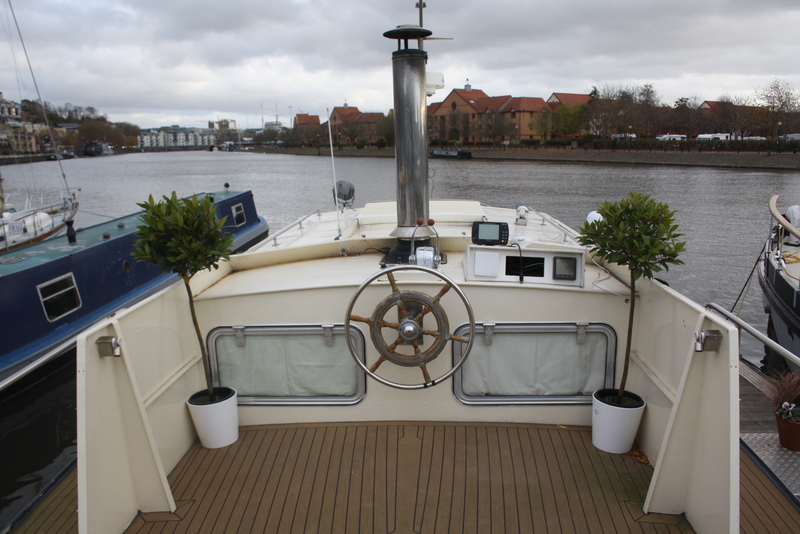 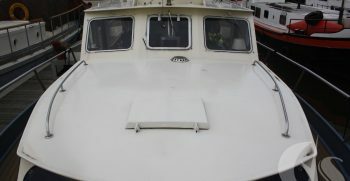 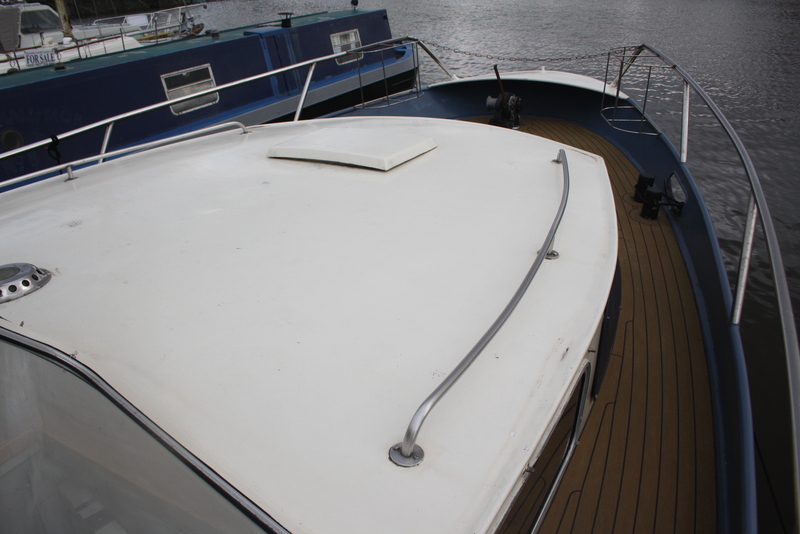 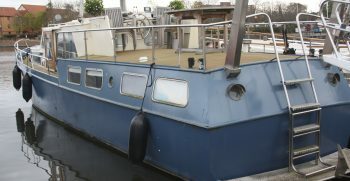 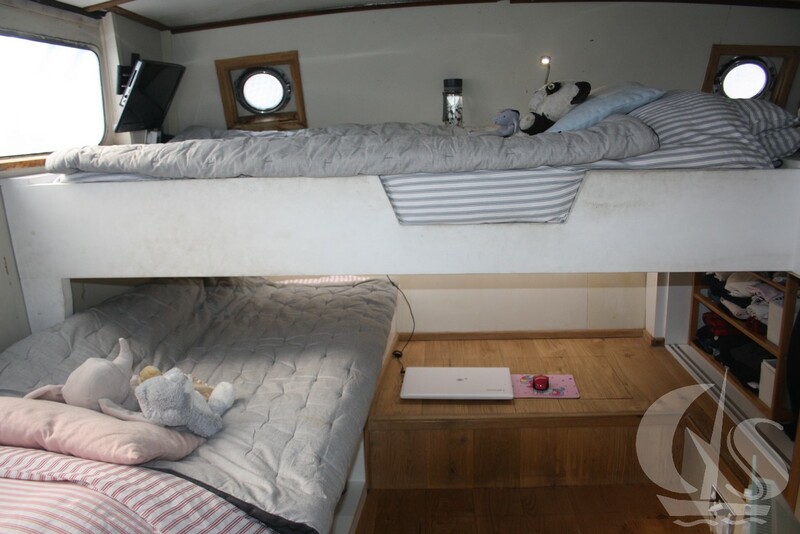 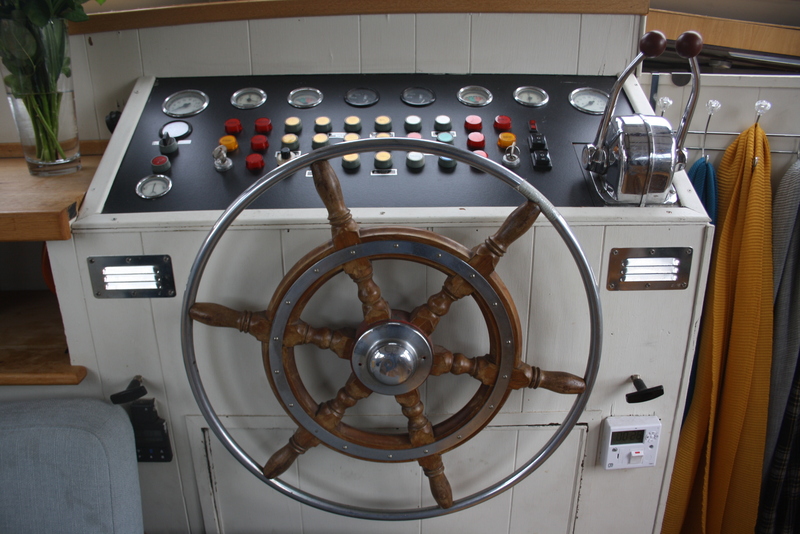 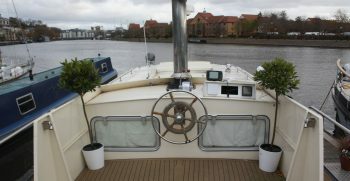 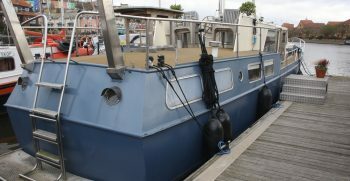 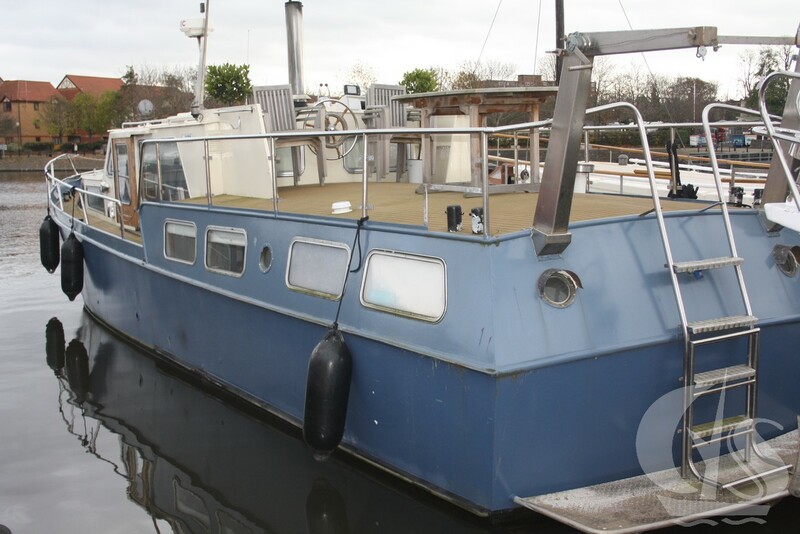 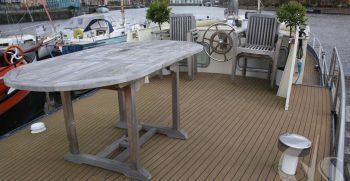 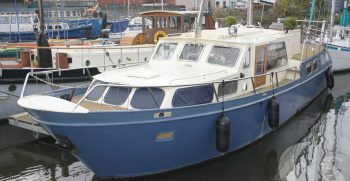 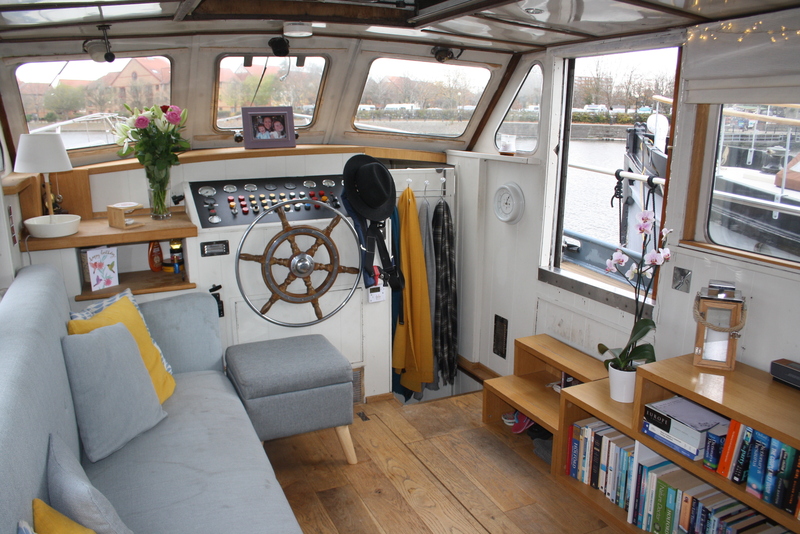 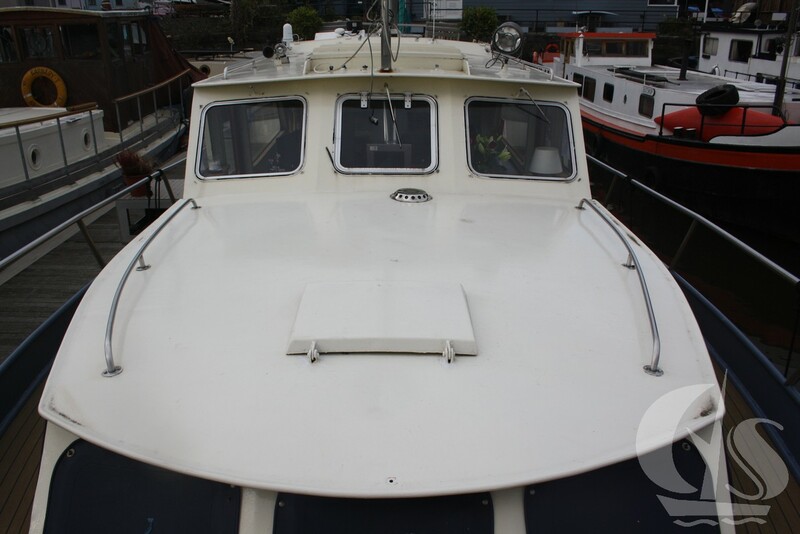 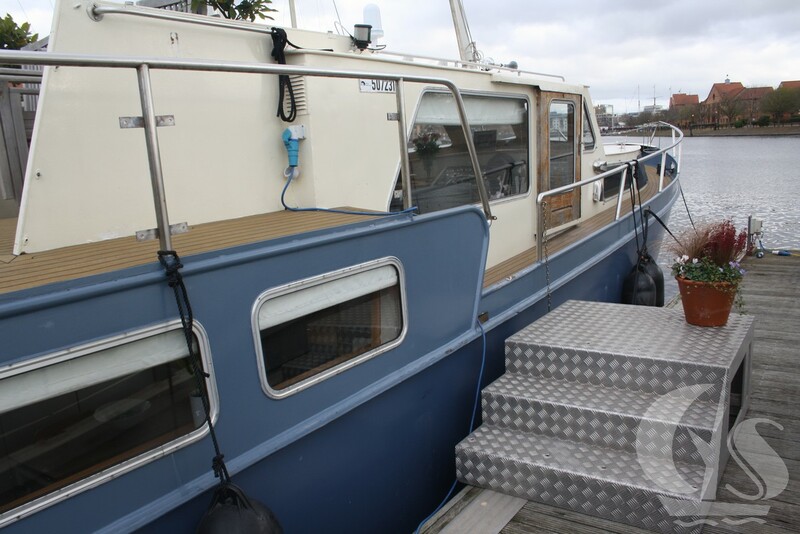 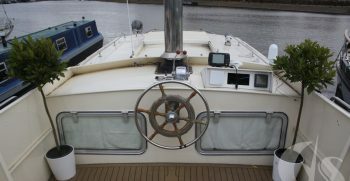 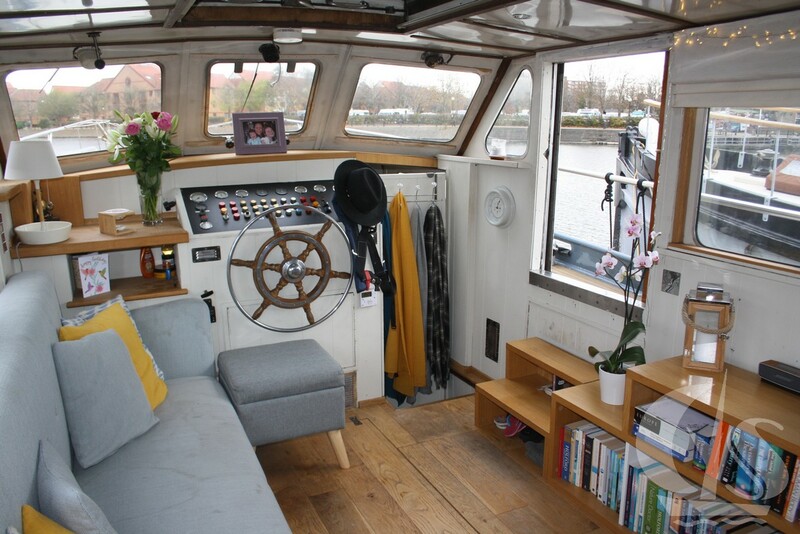 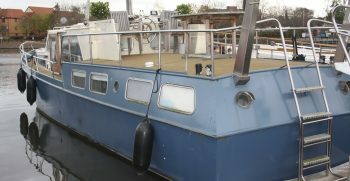 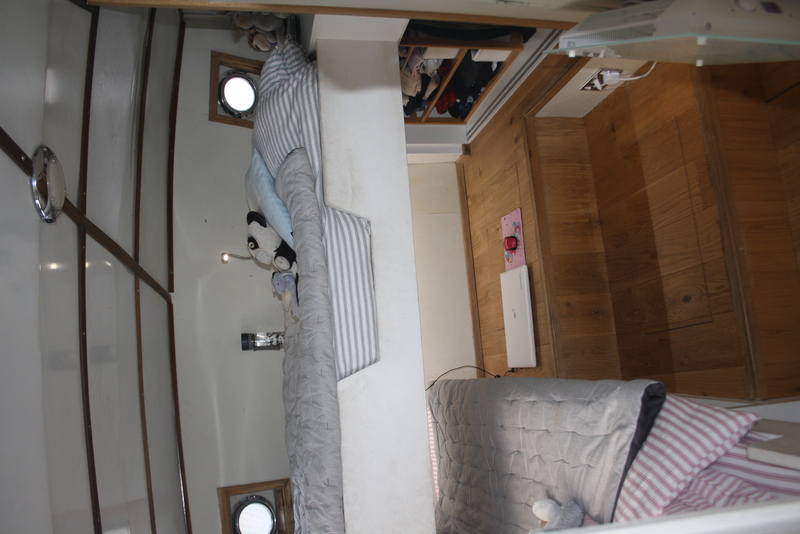 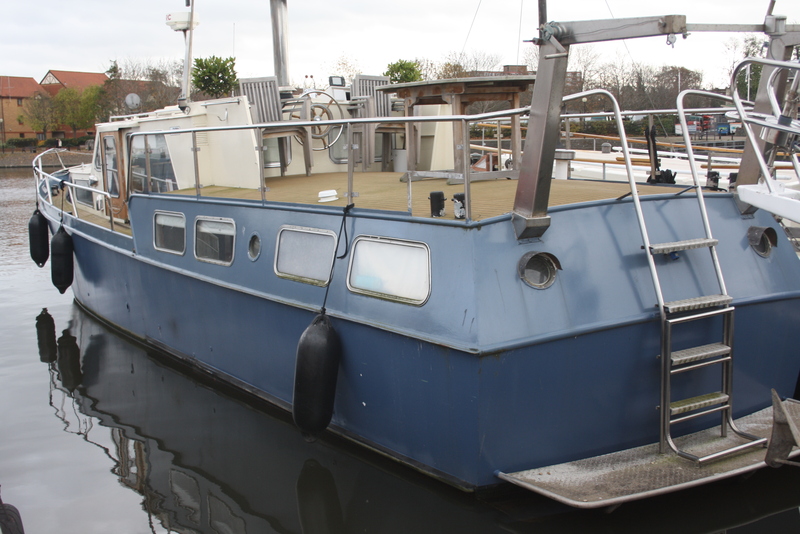 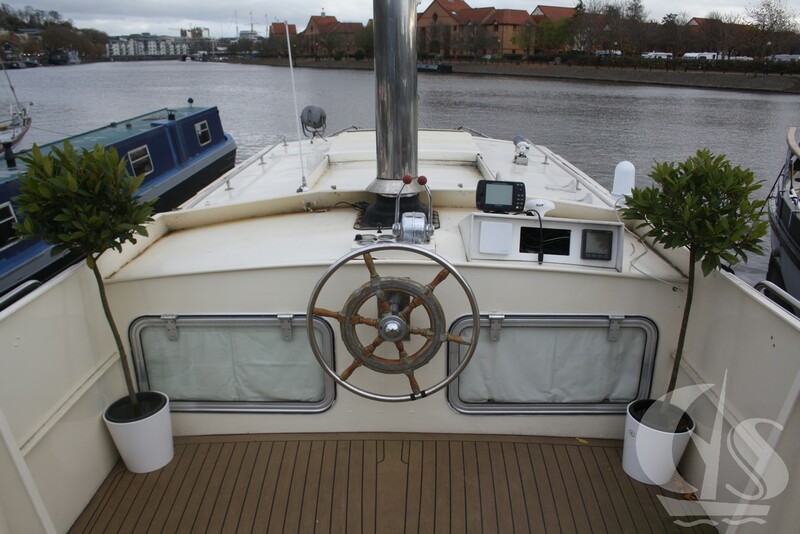 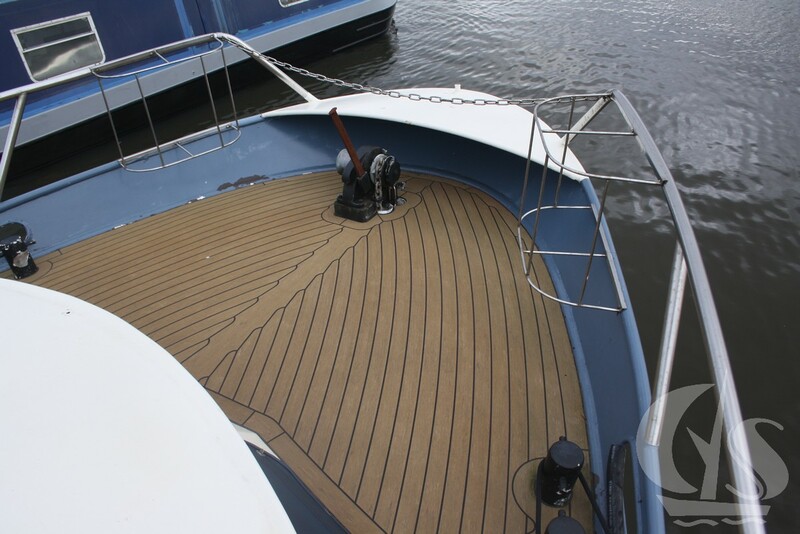 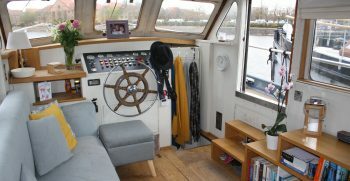 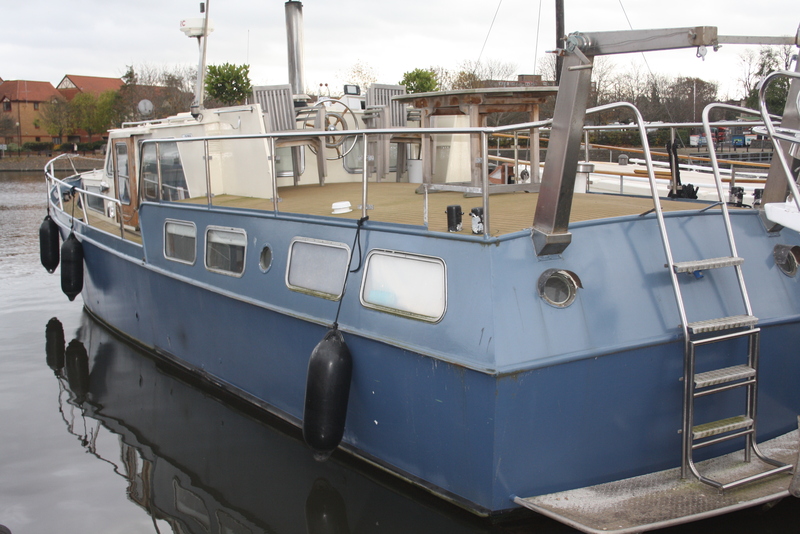 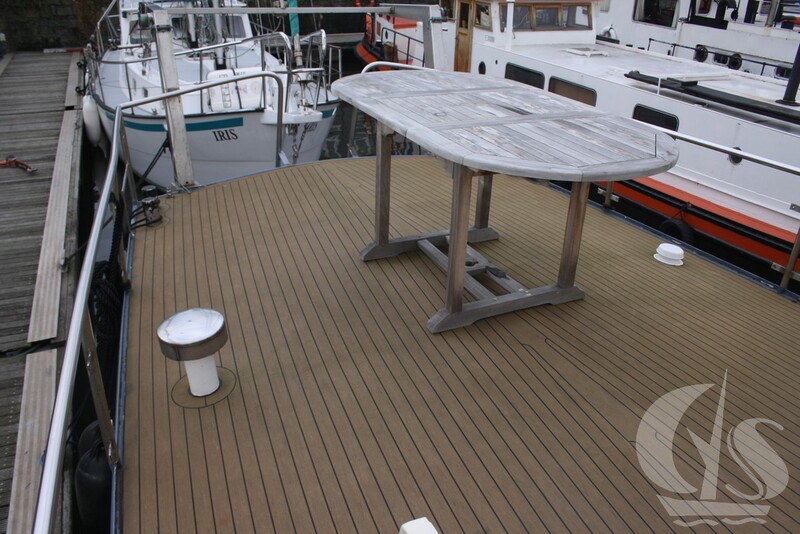 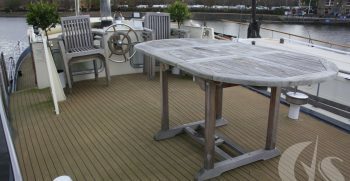 Built in 1983 in the Netherlands, this 45ft Dutch Cruiser was brought back into the 21st Century a couple of years ago with a complete modern refurbishment internally and externally. 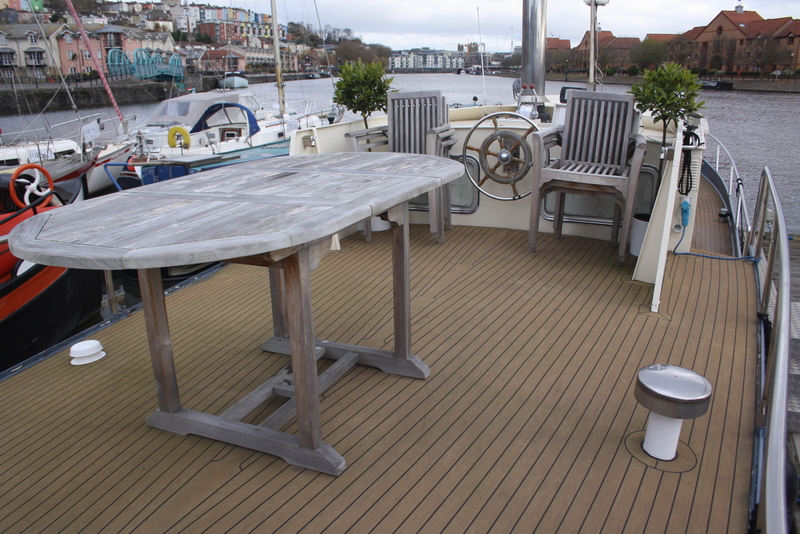 “Brahma Vihara” has two separate cabins with their own en-suites, a large saloon and galley plus the aft deck offers fantastic external space for entertaining, sunbathing or enjoying a glass of wine. 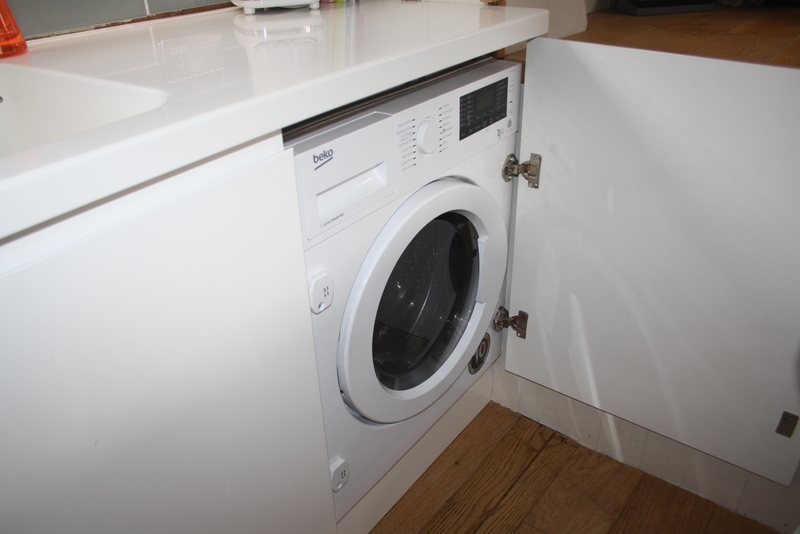 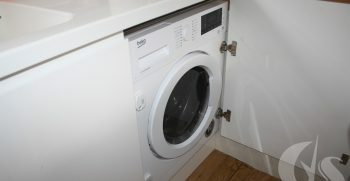 Fully fitted with integrated dishwasher, washer dryer and large 5 ring hob. 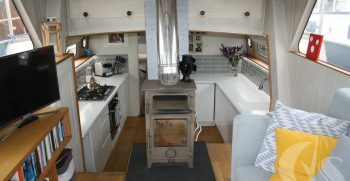 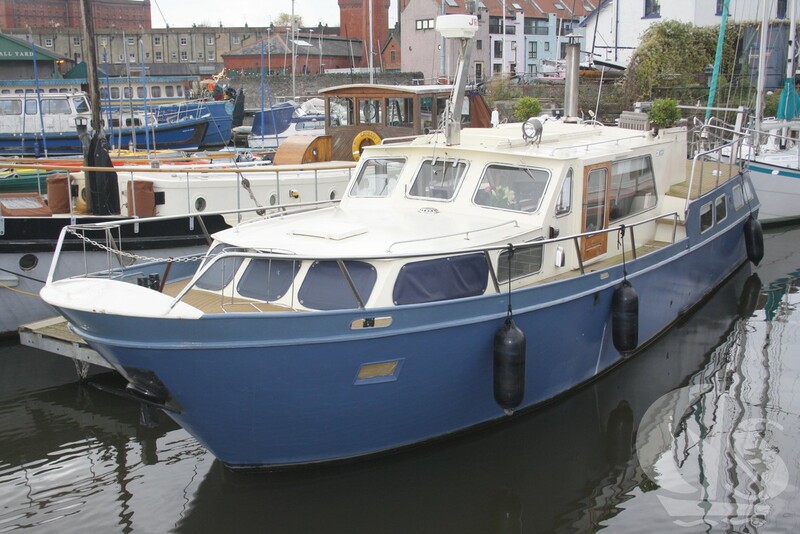 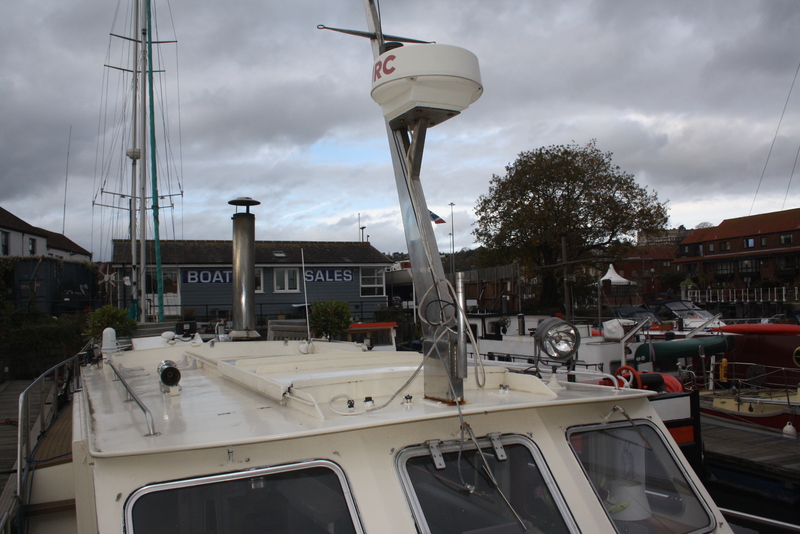 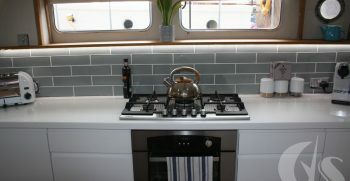 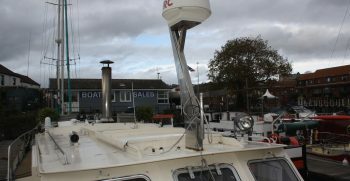 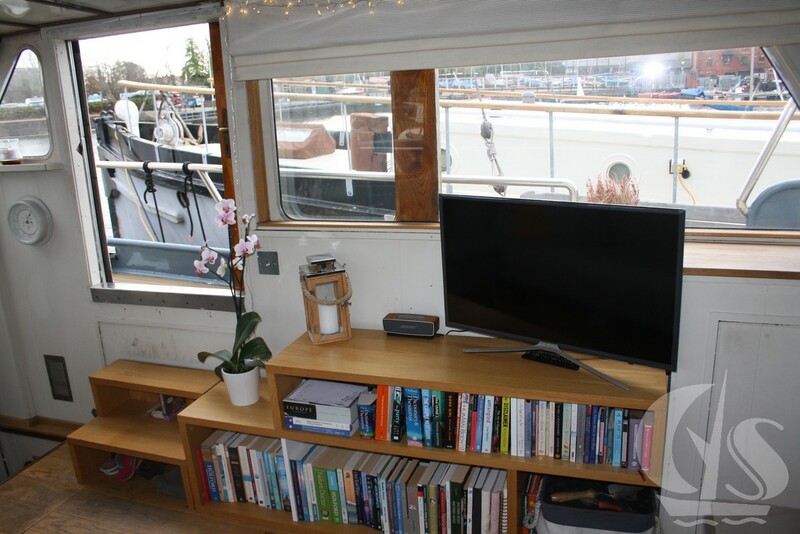 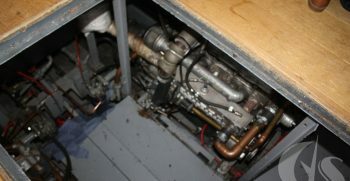 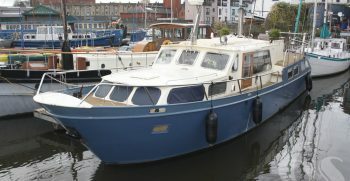 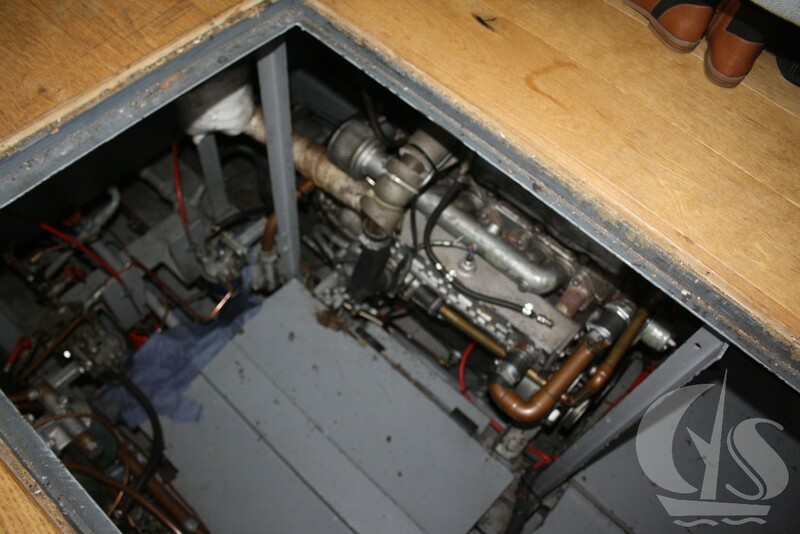 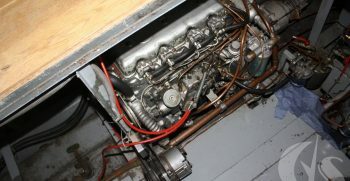 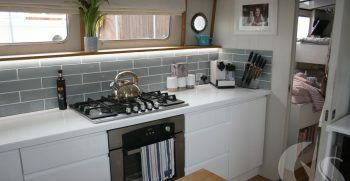 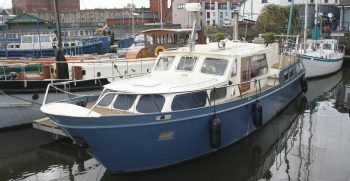 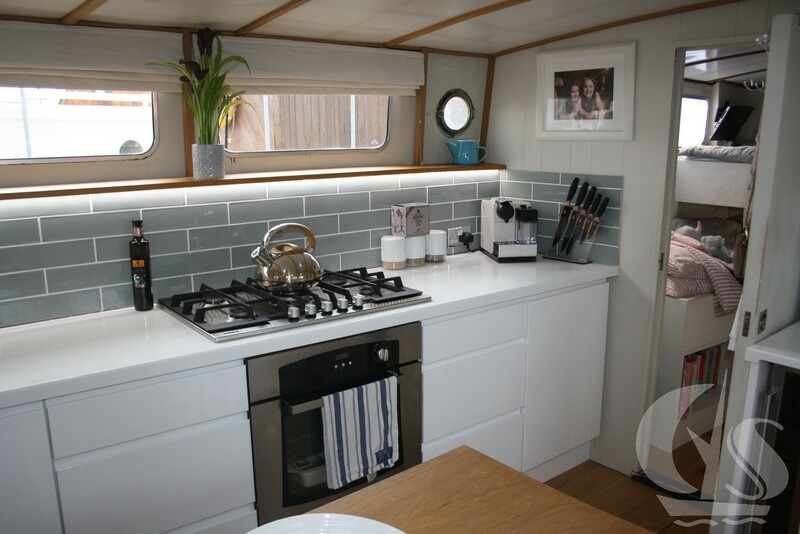 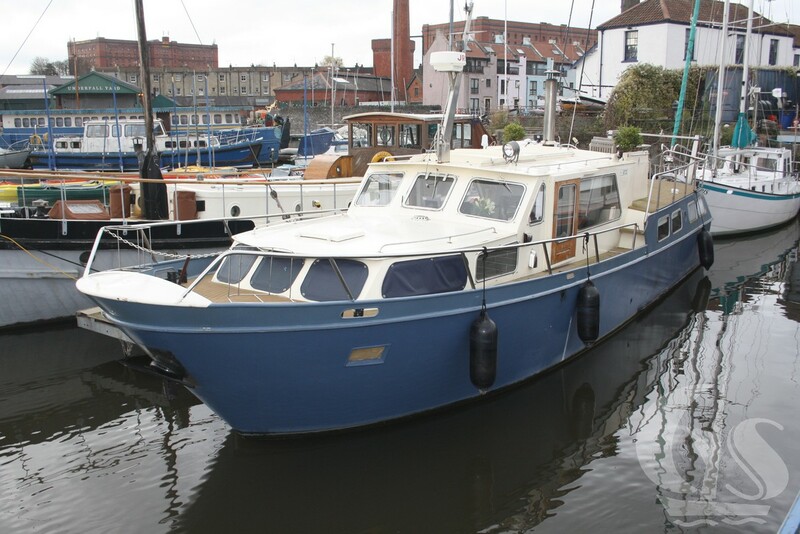 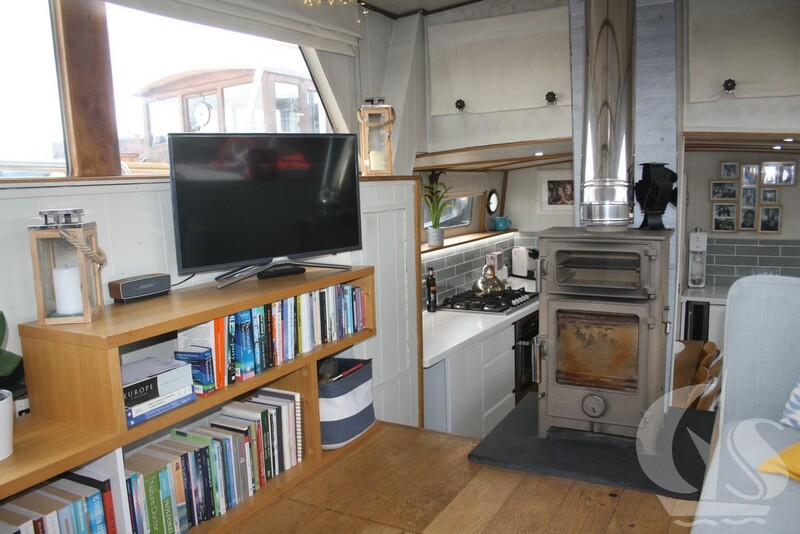 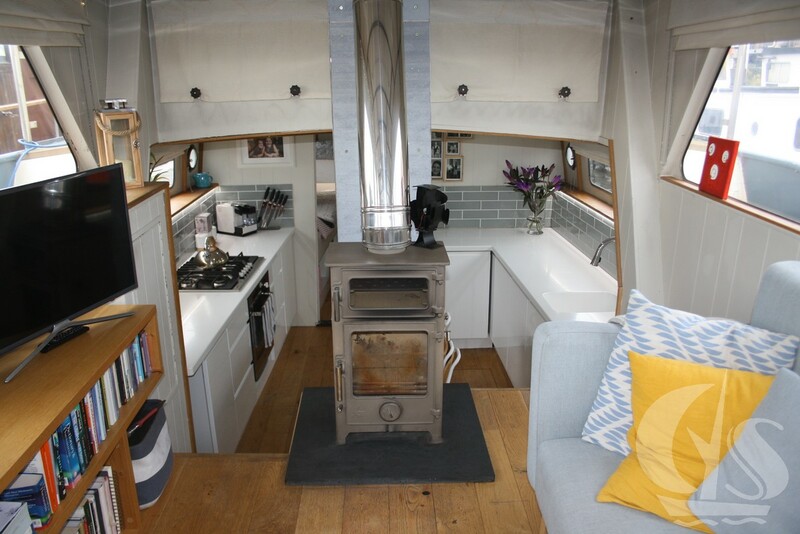 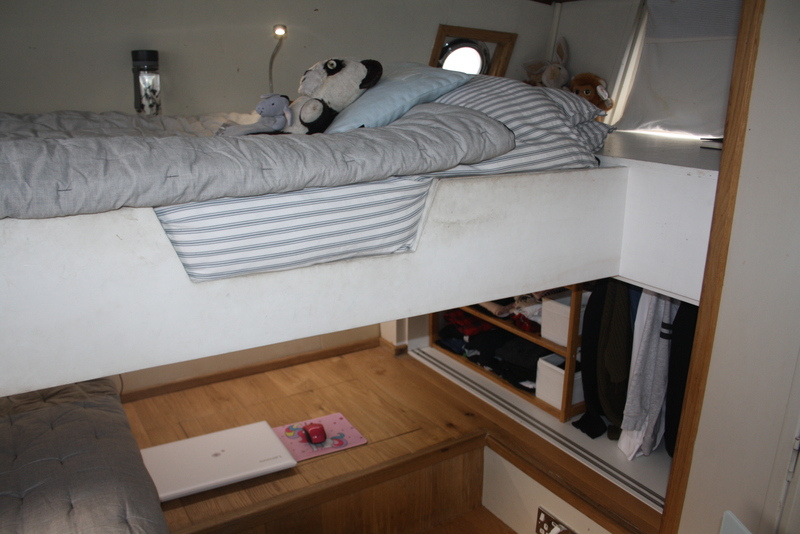 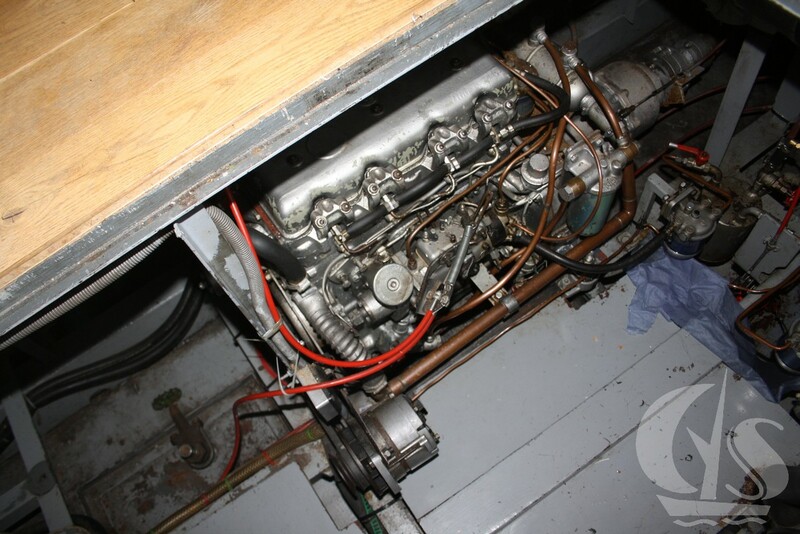 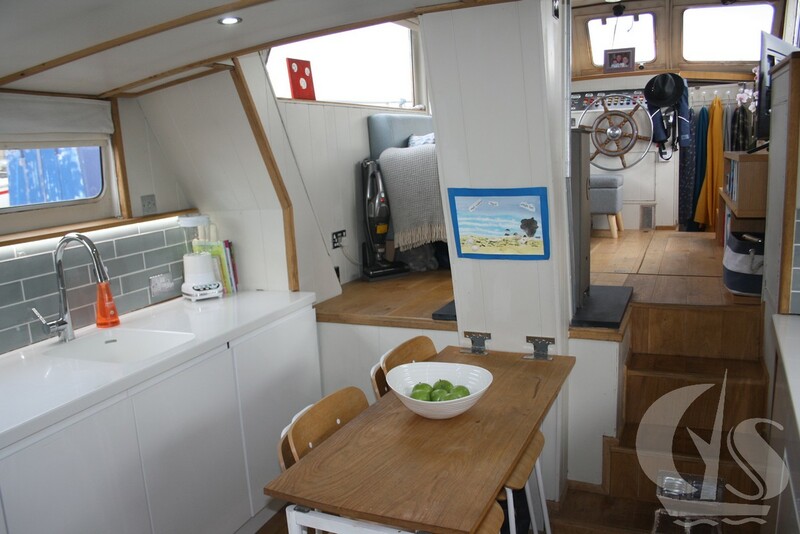 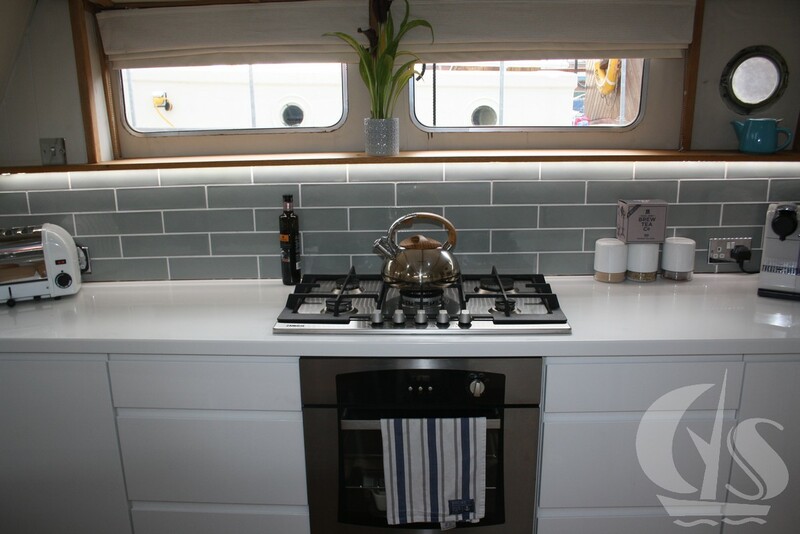 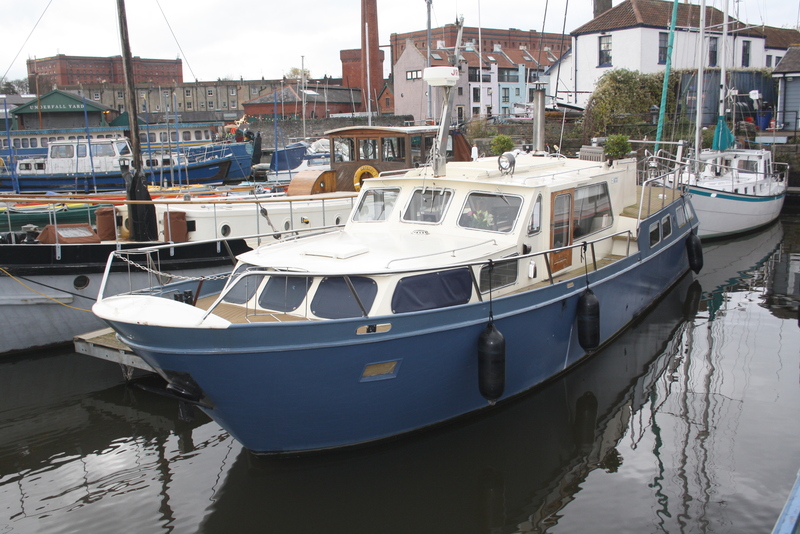 Powered by twin Leyland 60hp Diesel Engines this boat is fully functional and has all the mod cons to become a stunning home afloat or your weekend escape. 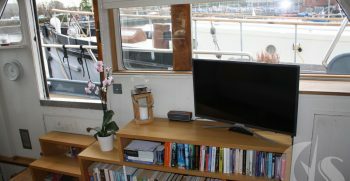 Viewings Highly Recommended! 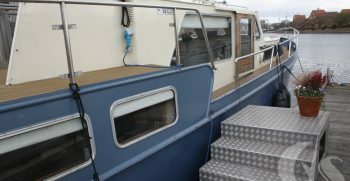 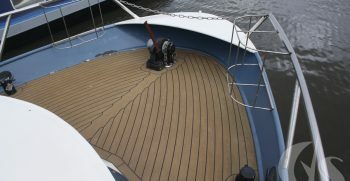 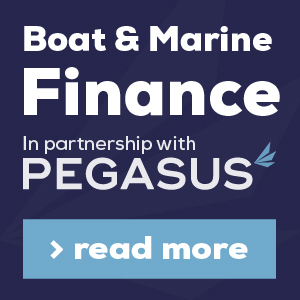 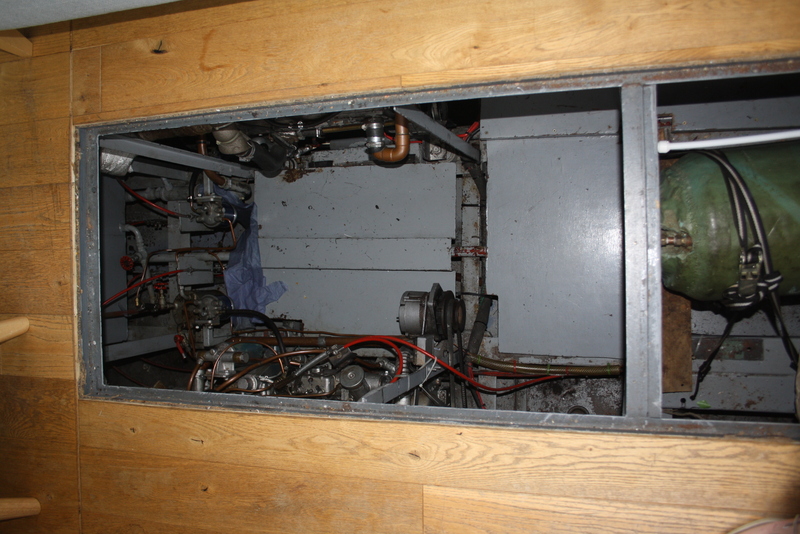 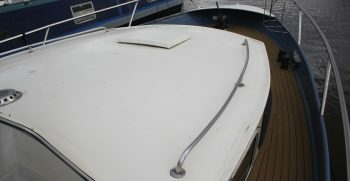 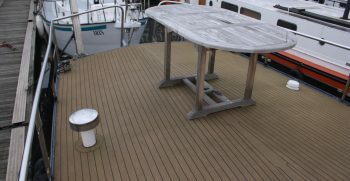 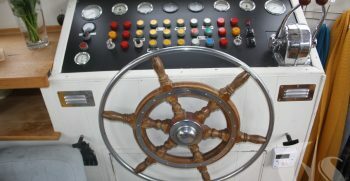 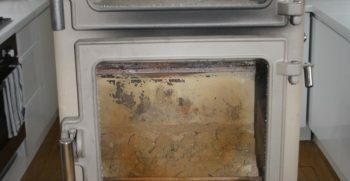 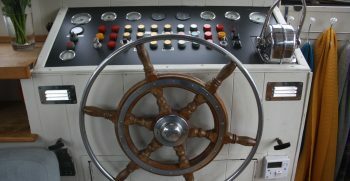 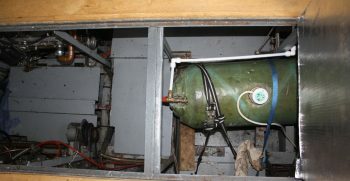 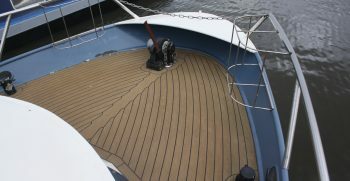 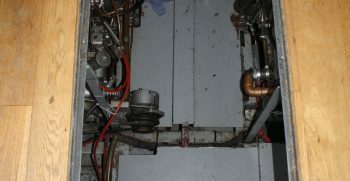 Entry into the vessel can be made by either the port or starboard side entry doors which leads directly into the saloon. 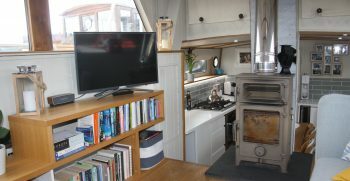 Large windows provide the saloon with a light vibe, very naturally decorated. 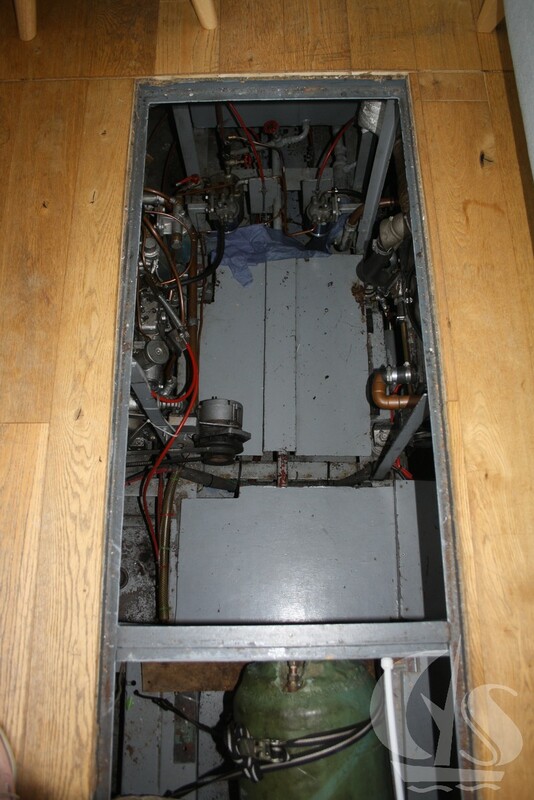 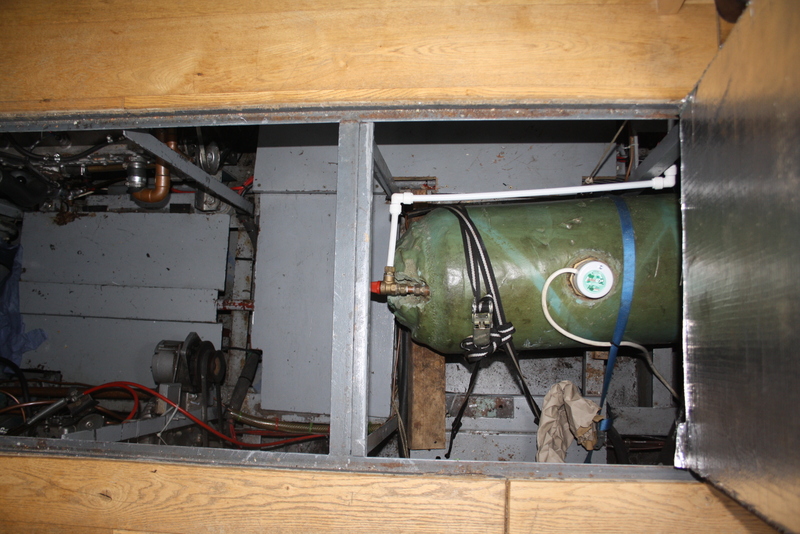 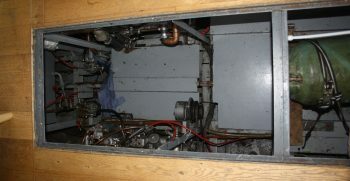 Storage Cupboard and lots of storage in the side of the vessel. 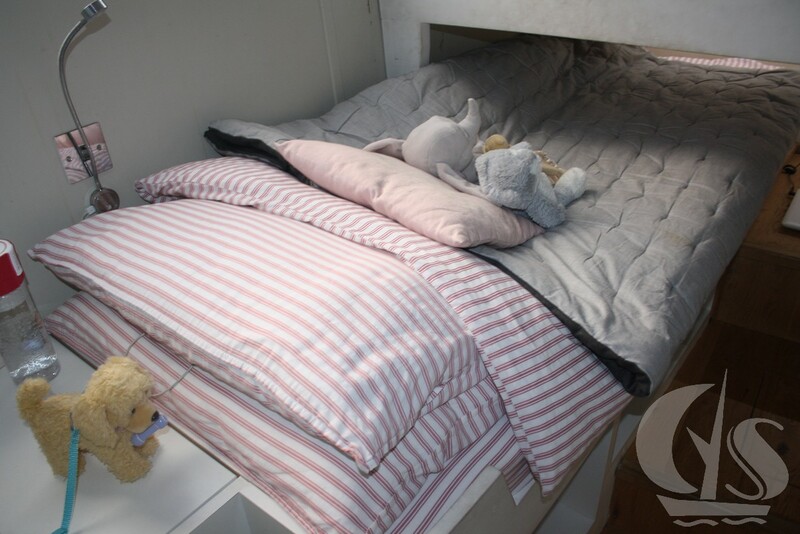 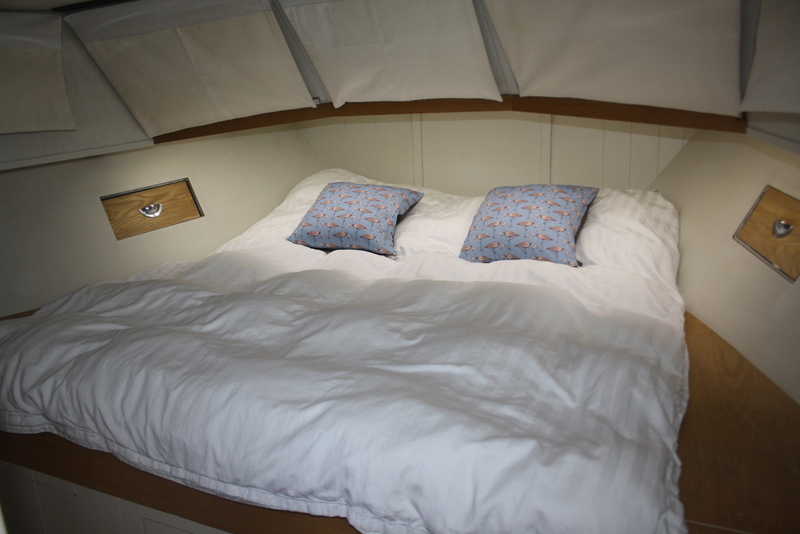 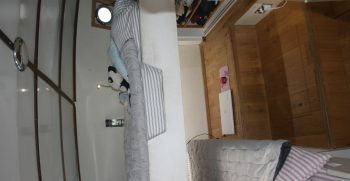 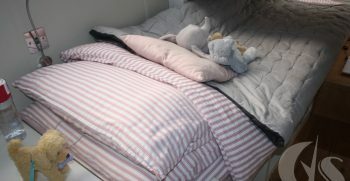 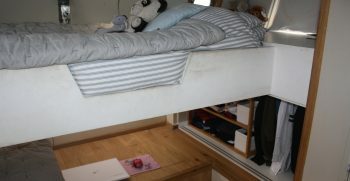 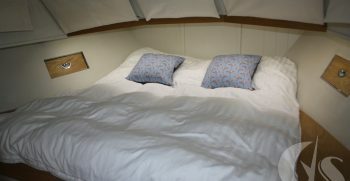 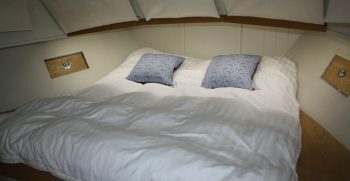 Double Bed with memory foam mattress and concealed ambient lighting. 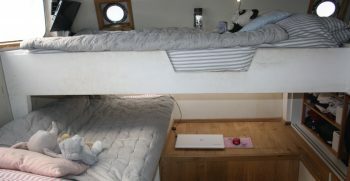 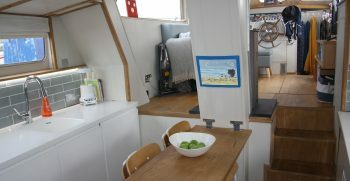 Large modern galley located mid-ships. 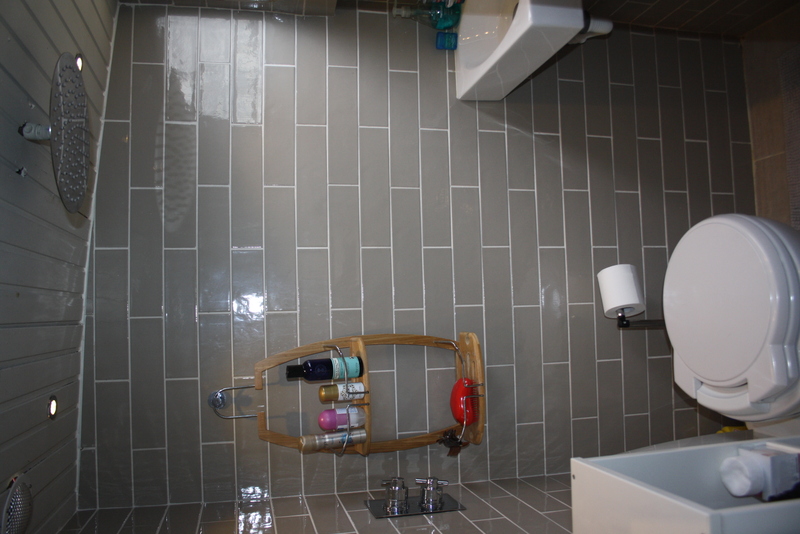 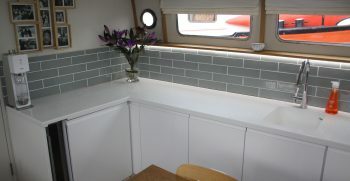 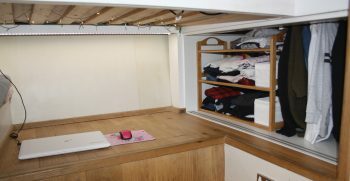 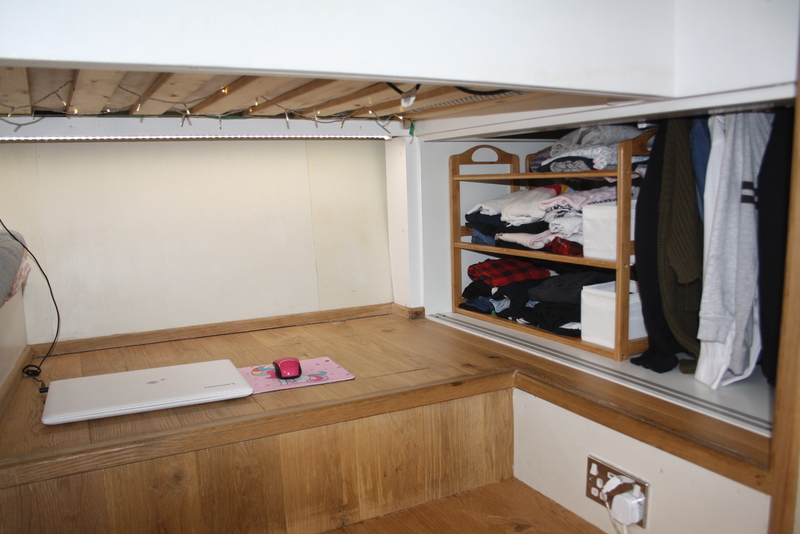 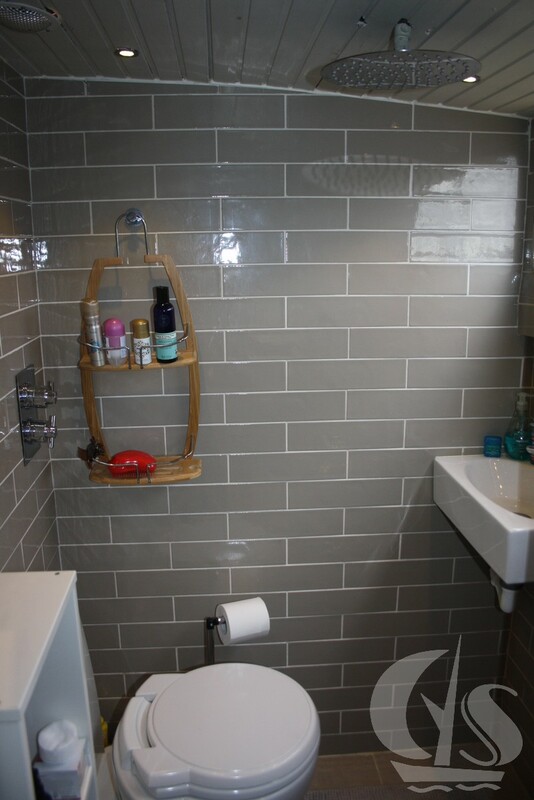 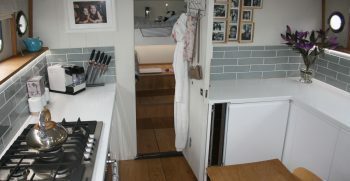 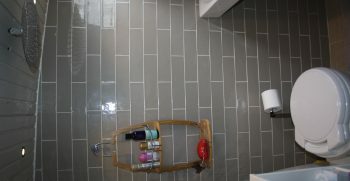 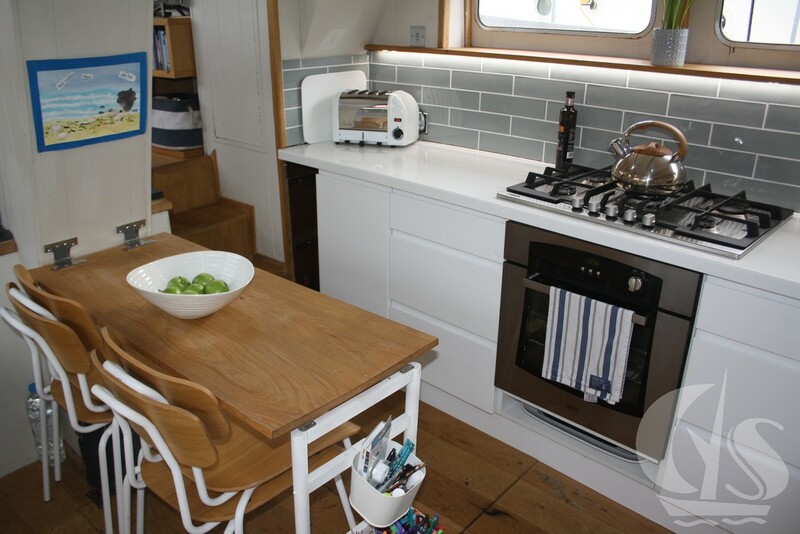 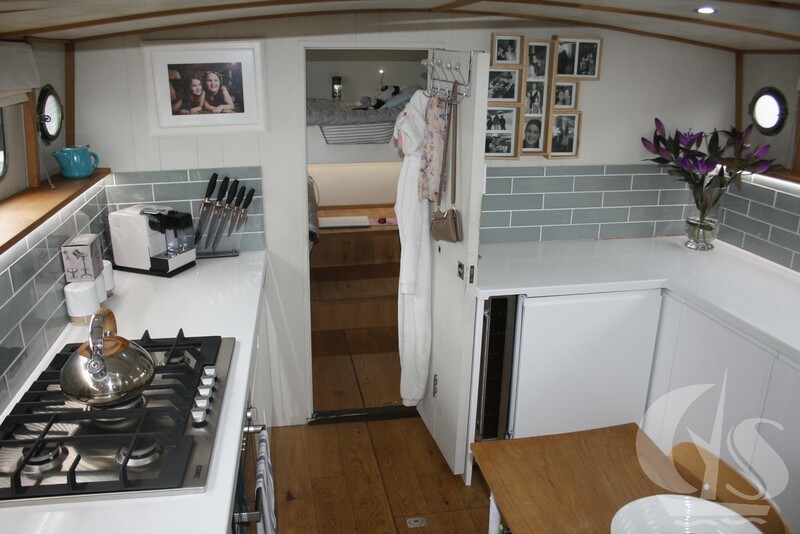 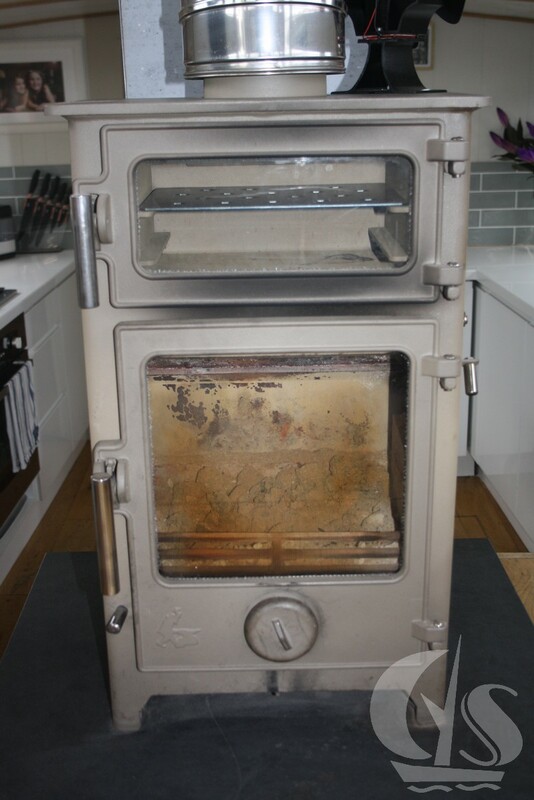 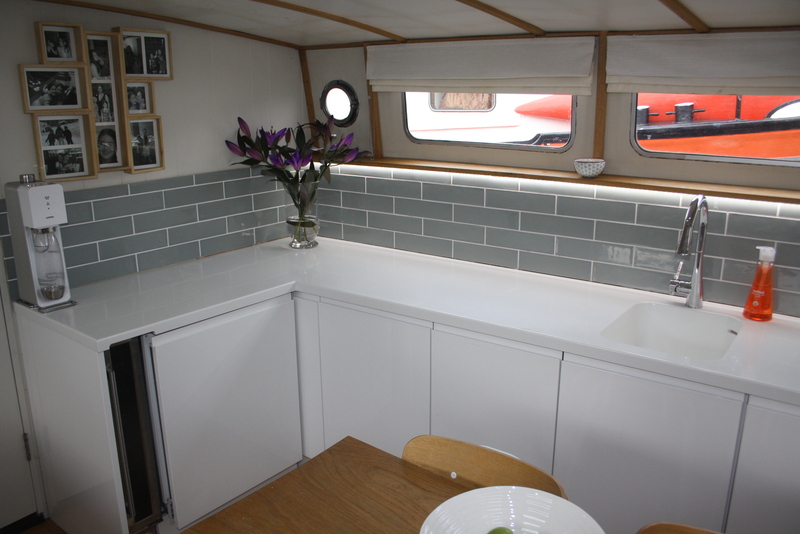 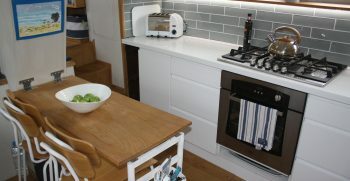 Bright and airy with all the mod cons your need and lots of storage and worktop space. 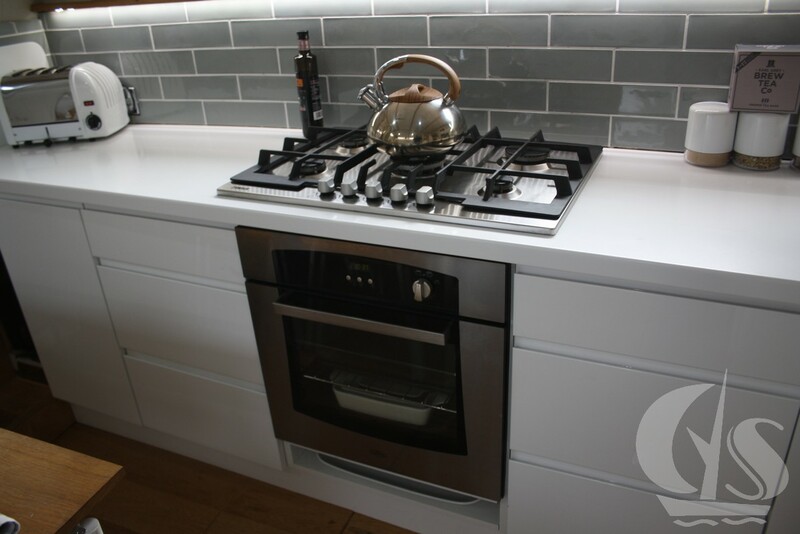 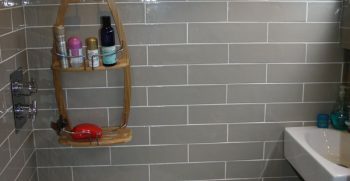 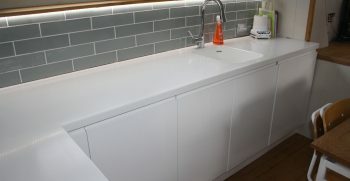 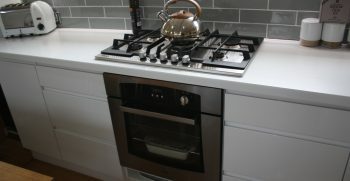 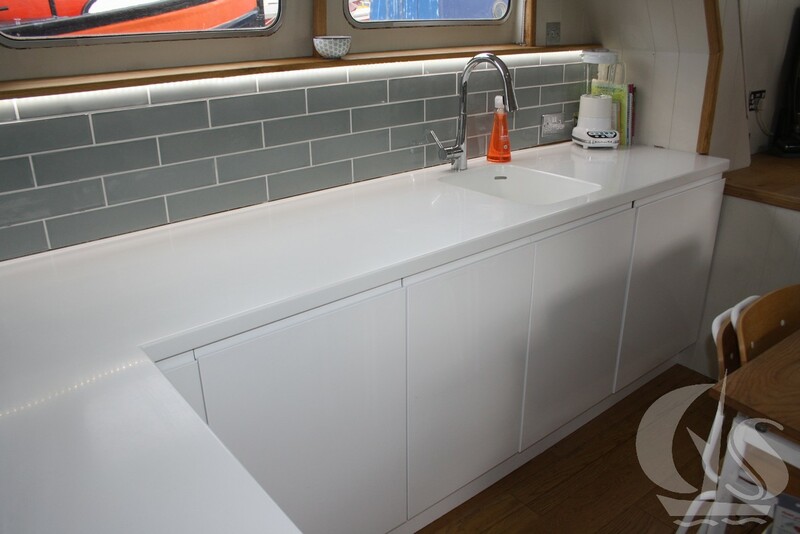 Fully fitted White gloss cabinets and drawers and solid corian worktops with integrated sink, deluxe tap with separate shower rinser.